Angela Perkins finished Survivor: Ghost Island in fourth place during the finale on CBS. Angela, a 42-year-old Army veteran from Cincinnati, OH, was eliminated from the game after a losing a fire-starting challenge to Wendell Holland. Angela's loss resulted in Wendell, Domenick Abbate and Laurel Johnson going to the Final 3 together. Domenick, who had won Individual Immunity, hoped Angela would kick Wendell out of the running for the $1 million grand prize, but he wasn't so lucky. Wendell ultimately finished Survivor: Ghost Island in first place thanks to one tie-breaking jury vote. Domenick finished the season as the runner-up, and Laurel placed third with zero jury votes. Before Angela was ousted, both Sebastian Noel and Donathan Hurley were sent packing during the finale. During an exclusive interview with Reality TV World, Angela talked about her time on Survivor: Ghost Island. Below is what she had to say. Reality TV World: Why did you vote for Wendell? And was your vote a personal one or did you think Wendell had played the best game overall? Angela Perkins: Actually, it was a little bit of both. So going into it, my intentions were to vote for somebody else, and then after listening to their [speeches], Laurel of course had a great plea, and that's who my vote was going for. And, you know, as other jury members replied to her, they were extremely harsh on her, and I don't think they -- she played a brilliant game. I definitely think Dom and Wendell played a very similar game and they had each other's backs. They definitely had Laurel, but again, like everybody said, she was kind of the underdog. She broke the curse, so to speak. She did go to the Final 3, so she did earn her spot. So she carried a huge piece of this. When we tried to sway her to get Wendell or Dom off, you know, she felt like it was a better game to stay loyal to them. And it definitely showed true because [Kellyn Bechtold] tried to burn her a couple of times. So going into the voting, I definitely had one person on my mind, and I came back with somebody totally different. And the only reason why is Wendell echoed the personal relationships and connections that we had made during the show in reference to similar families and things of that nature. And I was in the voting booth for a very long time, contemplating the two. I gave a long stare back at the three, and I think just with the dialogue back and forth -- Laurel was slightly defeated, and she was looking down. And the only one who was looking up and gave me a heartfelt, genuine look was Wendell. So that's what my deciding factor was. That was my tie-breaker, I guess you could say. Reality TV World: How confident were you going into the fire-starting challenge against Wendell? We saw you practicing quite a bit. Angela Perkins: I definitely thought Wendell had an advantage over me, but I wasn't giving up, because I did it a million times, like Laurel said. It was the three of us, well, actually, I would say it was Domenick and I that pretty much ruled the fire while I was there. But it's completely different out there with everybody [giving] you support and building it there with no pressure. And then coming into Tribal, you're fighting for a million dollars, so it was an immense amount of pressure. And then obviously there was the wind and all of these other factors that come into play. But ultimately, in the end, Wendell was able to pull it off. Reality TV World: An interesting scene was when Wendell was desperate to switch fire-starting stations. Orange seemed to really spook and unnerve him, so why wouldn't you want to keep that psychological advantage and say, "No, Wendell, I'm not switching places with you?" Angela Perkins: Well this is why: In an event I did actually win and was sitting there, that was just one more plug for me, saying, "I sacrificed my position for somebody else," because obviously Wendell was strong with winning [Immunity Challenges] and Laurel was a beast. So that was just one more strategic play I had, saying, "I definitely looked out for everybody else and I'm still here, and I earned this on my own. I played my own individual game." So yeah. Reality TV World: You initially seemed to like Sebastian and Donathan's plan to make "an epic move," as they called it, and take out Domenick. So why did you decide to leak the plan to Domenick? Was that just fatigue and exhaustion setting in? What was the upside of doing that? Angela Perkins: No, actually, and now looking at it back, I wish I had made a different decision. However, you can't -- so I did not want to go to the Final 3 with Sebastian. I thought I had a better chance sitting next to Dom and Wendell, not because they didn't play a good game, but because they burnt so many people. Like obviously Kellyn was scorned. And you only need four votes, so I definitely thought I could get that. I thought I would have that in the bag, but obviously voting him off for personal reasons was really -- I struggled with that. But for strategic gameplay, that was best for me to move forward. I don't even know if I would've been part of the Four had he moved forward. Reality TV World: Did you personally believe Domenick's fake idol was real, the one he played at the Tribal Council when Sebastian went home? Did that play a role in your decision not to target him after all? Angela Perkins: I think only one or two people knew, like Laurel [and/or] Wendell, that it was fake. I had obviously seen people on the jury knew it was fake, because they were whispering, "It's fake!" And then people were like, "Oh, no!" So I think some of us were left in the dark, but a few of us did speculate because of word of mouth from those who knew it was fake. So I thought he was completely safe regardless. Reality TV World: If you had actually won the fire-starting challenge, how did you predict the Final Tribal Council might go? How did you expect things would shake out in that case? Angela Perkins: You know what? The biggest thing I was struggling with is what my case would be. How would I win the hearts and minds of that jury? So I did not anticipate how it would play out; I was more focused on, "How am I going to tell my story? How am I going to depict my best game to the jury?" Reality TV World: Besides staying Naviti Strong for a while, it was hard to tell whom you bonded with. Which castaways were you genuinely aligned with, and to whom were you truly loyal? Angela Perkins: Behind the scenes, I built a really strong relationship with Laurel, and I really trusted her, even though I knew 100 percent Laurel was going back carrying our secrets to the boys because she felt more confident with them. I definitely trusted her and never thought she would target me. Her and I just had a bond. I definitely felt I trusted her and I did have an alliance with them as far as it obviously would go. But it went a lot further and was stronger than a lot of the other castaways. Reality TV World: Were you disappointed by your edit this season? Angela Perkins: It wasn't frustrating, the edit I received, however, it was a little more frustrating to see the edits that others received, like Laurel and [Chelsea Townsend]. I was more hurt for them, but I was okay with mine. Obviously we knew what we signed up for, but seeing their gameplay and how strong they were and how they dominated, I mean, during our group challenges, Laurel conquered! And so did Chelsea! 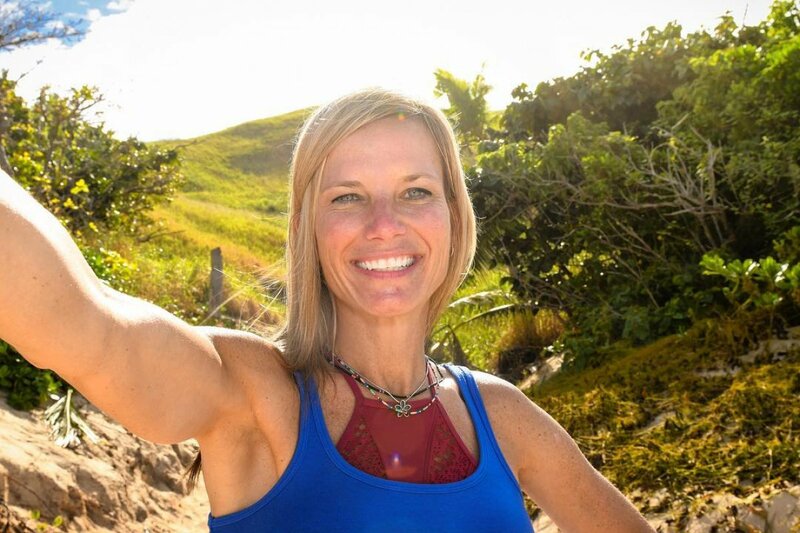 She won Individual Immunity twice! She was a strong player, but they obviously didn't depict that in any of the scenes, so I was hurt for them. But for me, it was okay. To read more of Reality TV World's exclusive Survivor: Ghost Island interviews with the Final 6 castaways, click here to check out our show page.